Today the Tate Modern will unveil a major retrospective of the work of Joan Miró. A pioneer of surrealism and recognized for his expressionistic style (although he did not associate himself with either movement) Miró’s work heavily influenced European art throughout the 20th Century. The Tate Modern will showcase over 150 objects from his six-decade career and focus on his political involvements throughout that time. Dazed Digital spoke to co-curators Matthew Gale and Marko Daniel to find out more. Dazed Digital: This is the first major exhibition of Miró's work in the UK for over 50 years, why did you feel this was the right time to hold such a large show of his work? Matthew Gale & Marko Daniel: There has not been a major Miró exhibition in London since 1964, at which point he still had twenty years of work to produce. This exhibition will therefore provide an opportunity for a new generation to see his work. In addition, it will use recent research to provide those already familiar with his work with a fresh understanding of its interest and importance. DD: His career spun over six decades, was it difficult selecting the 150 works in the exhibition? Matthew Gale & Marko Daniel: It is always a challenge to select works for an exhibition of this kind, particularly with an artist who was so productive over such a long period of time. We have therefore chosen to focus primarily on the years 1918–25, 1934–41 and 1968–75, when Miró was most engaged with the the events going on around him. We are very thankful to all the lenders who have helped make our selection possible, particularly the Fundació Joan Miró in Barcelona, from whose collection we have drawn a very generous number of works. DD: How did the title of the exhibition come about? Matthew Gale & Marko Daniel: 'The ladder of escape' is a symbol used in many of Miro's works, including paintings and sculptures. Miró struggled at different moments of his life with the balance between engagement and retreat. To borrow his own words for the title of this exhibition has served to acknowledge this pervasive ambiguity. As his friend Roland Penrose (who was responsible for the Miró exhibition in 1964) remarked, the ladder alluded to Miró’s desire ‘to rise beyond the limitations that bind us to earth... to transcend the incomplete condition of daily life’. DD: How have you approached the curation of such a major exhibition? Matthew Gale & Marko Daniel: The exhibition will include work from throughout Miró’s career and provide an overview of his practice. However, Tate always strives to base its exhibitions on the very latest research, and this show will particularly draw on recent discussions about the artist’s political engagement. 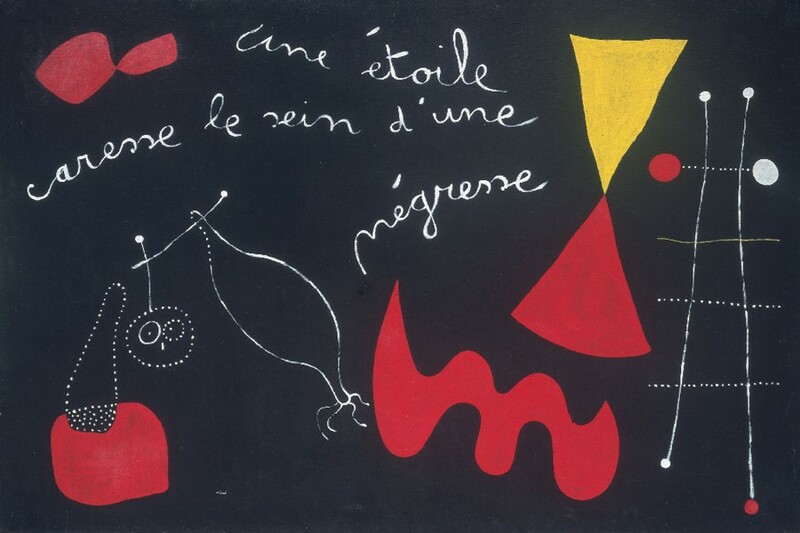 We have sought to draw out the oscillation of Miró’s sometimes uncomfortable confrontation with social and political concerns, from the influence of his Catalan identity, to the Spanish Civil War and the rise and fall of Franco’s regime.